Stanley 804060 - 2-1/2" Bright Brass(3) Slide Bolt With Strike. Product prices and availability are accurate as of 2019-04-21 11:07:33 UTC and are subject to change. Any price and availability information displayed on http://www.amazon.com/ at the time of purchase will apply to the purchase of this product. Stanley-National Hardware has been a leading manufacturer of hardware for more than a century. Over the course of the last 160-plus years, Stanley-National is a name that has become synonymous with quality, innovation and customer service. Providing a reliable barrier against unauthorized entries. 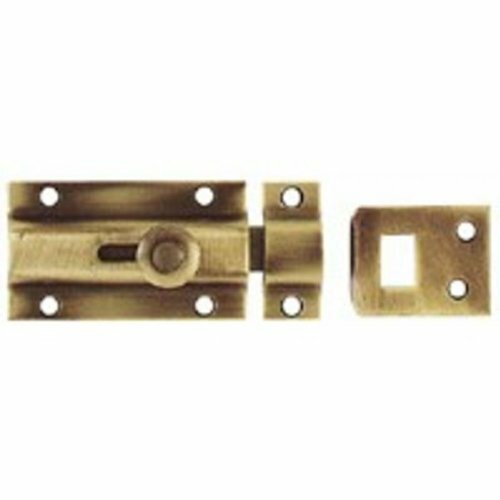 Protect display showcase items, accessible drawers and utility closets from break-ins with this line of utility locks.